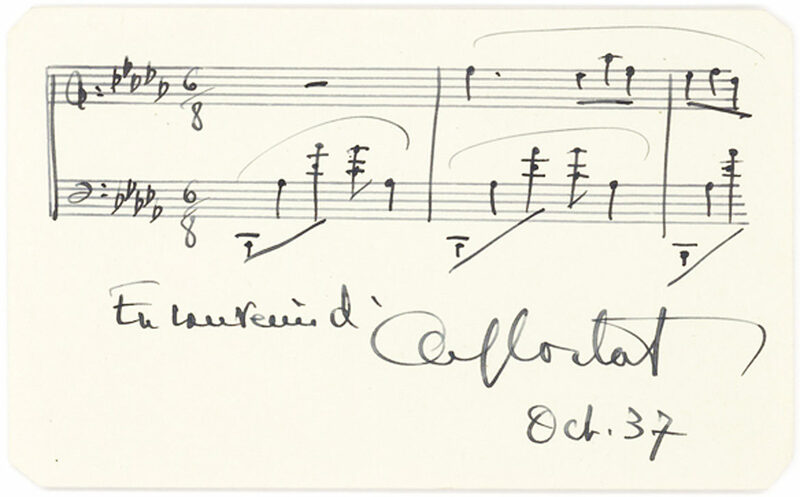 CORTOT, ALFRED. (1877-1962). 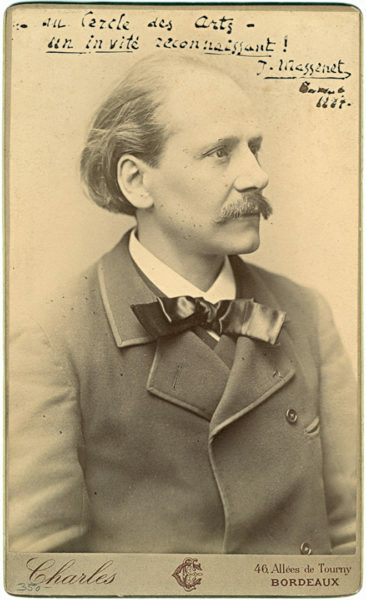 French-Swiss pianist and conductor known for his interpretation of the Romantic composers. AMusQS. (“Alfred Cortot”). 1p. Oblong 12mo. N.p., October 1937. In French. Three double measures from Frédéric Chopin’s Berceuse, Op. 57, neatly written on a small pale green sheet. 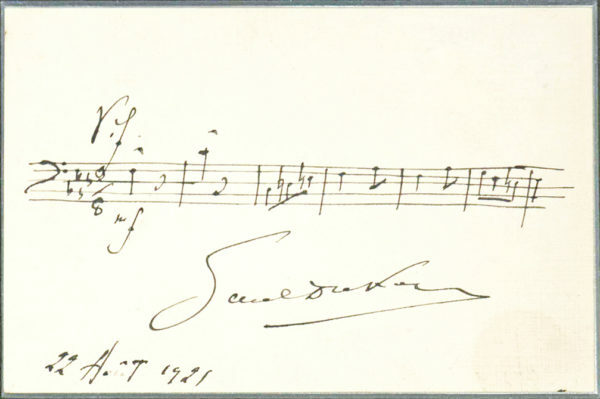 Cortot was revered internationally for his interpretations of Romantic composers, especially the works of Schumann, Debussy, Saint-Saëns, Liszt, and Chopin. The legendary Cortot-Thibaud-Casals Trio, was one of the best known trios of the time; among its best-known recordings are those of Haydn’s ‘Gypsy’ Trio, Mendelssohn’s Trio in D minor, and Schubert’s Piano Trio in Bb. 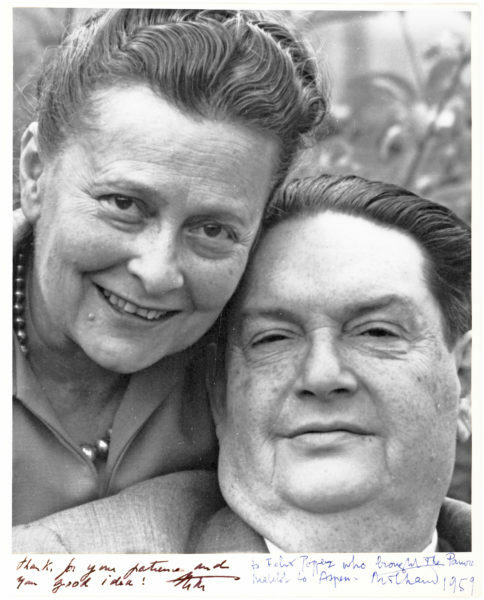 His career was somewhat damaged by his collaboration with the Vichy government during the Nazi occupation of France. As Vichy’s high commissioner of the fine arts, Cortot found himself persona non grata in France after the war. Nonetheless, his legacy lives on in his outstanding recordings and published arrangements. A beautiful example in mint condition.